Ahead of NASA’s Cassini spacecraft’s plunge into Saturn next April, its team has sent it on a new path to collect as much data as possible about the planet and its rings before the mission ends. This phase, which began on November 30, includes 20 week-long orbits, so it's just grazing the outside of the outer ring structure as it passes. 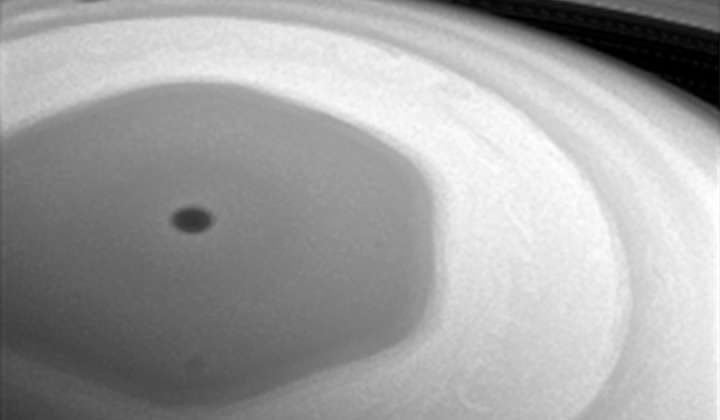 Cassini has sent down its first images from these passes, including a series of shots of the hexagonal structure at Saturn’s north pole.